Arlington bluebells woods - as well as having plenty of bluebells (obviously) - has lovely wood anemones, which bloom slightly before the bluebells but are still around when the later flowers start to come out. I took this photo of two white wood anemones when I was there at the weekend. A perennial spring flower plant with basal leaves and long leaf stems with single, pretty, brightly coloured flowers. 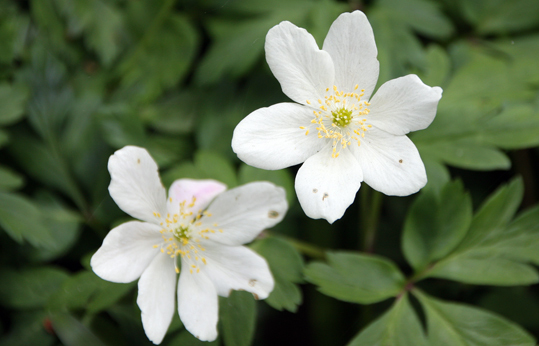 Anemone brings protection with it especially against negative energy. Use the flower petals in health and healing workings. Anemone Magical Properties: Protection, healing, health.